May and June always bring sunnier skies, feistier students, and more hopeful days. 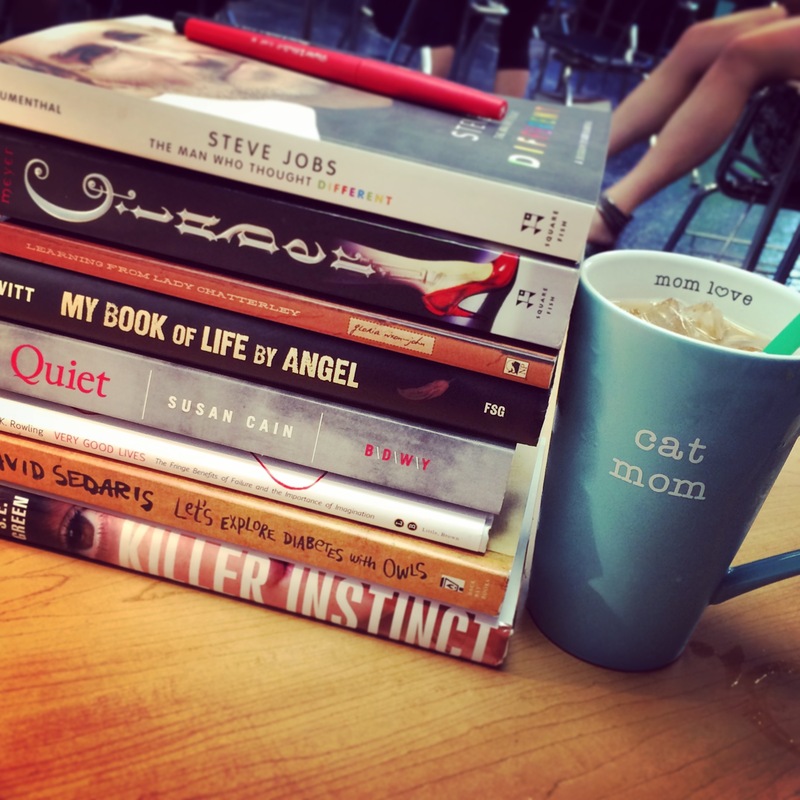 Like Amy, I enjoy the last weeks of school, and often spend many of them feeling proud of my students, making big plans for the next year, and reading a ton in order to ramp up my booktalks. This time of year is my time for reflection, rejuvenation, and rebirth. This spring, I’m excited that I have the opportunity to participate in a National Writing Project course, which is uniting me with other English teachers from my area. Talking with them has helped to energize me even more so than usual at this time of the year, and some of their words have really helped me reflect. 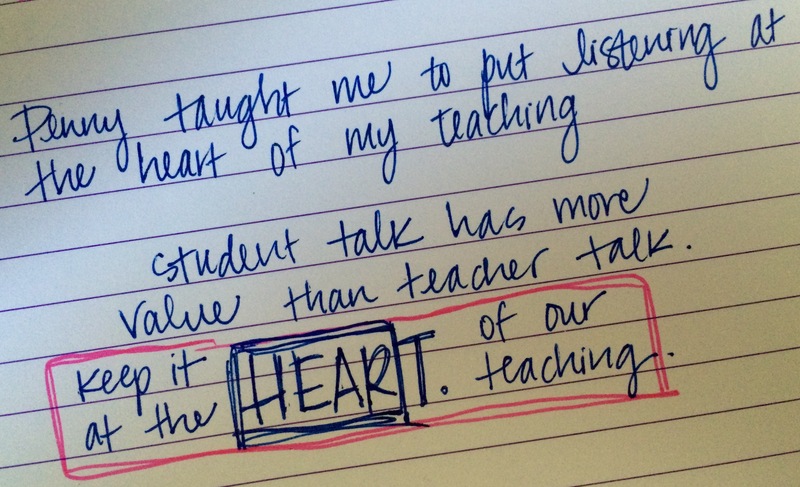 First, my notebook musings during our first class led me to a powerful play on words–listening is at the heart of our teaching. I’ve written before about the value of talk, but I’m thinking long and hard now about the power of listening…truly hearing our students’ hopes and strengths and worries and wonders. I’ve paid special attention to emphasizing listening in my lessons these past few weeks, because I know I won’t get to hear these wonderful students’ words after the year ends. Later in the NWP class, while assessing some of our students’ written products, we were asked to identify the skill we had been aiming to teach, and then evaluate how well our students internalized that lesson. Claire, an elementary teacher, said that it was impossible to look for just one thing–“Writing is so…big,” she said. I couldn’t agree with her more. As I read my own students’ work, I saw themes of my own pedagogical beliefs running through their writing. They were using beautiful language, inspired by our daily poem or craft-study quickwrites, in all of their writing–nonfiction too. They were writing strong pieces thanks to the risks they felt safe taking in their choice of topic, genre, and style. They were producing prolifically, writing long, short, funny, serious, sad, exciting, fiction, nonfiction, poetry, prose–everything. Their portfolios are thick with creation. Writing is big, indeed. It’s Teacher Appreciation Week, and with that came some delightful thank-you notes from my students. 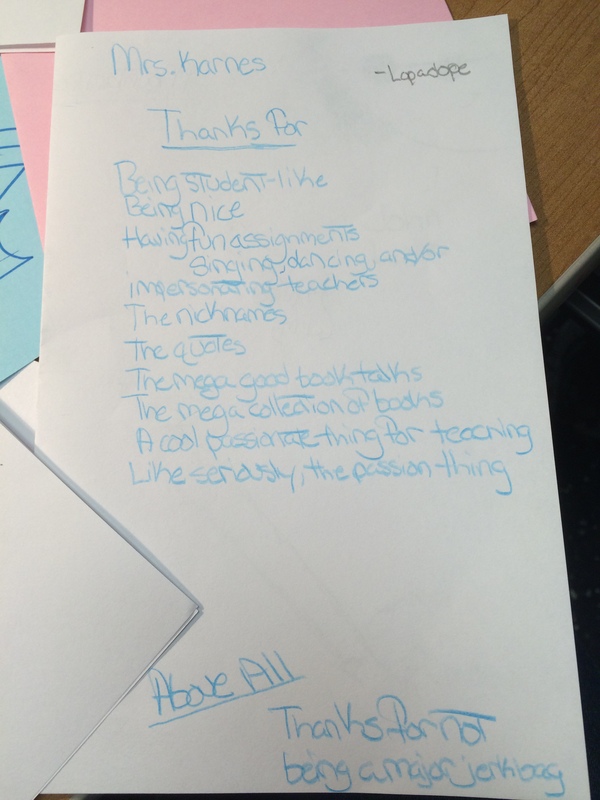 One student made a list of things he was thankful I did, and he repeated how thankful he was for my “cool passionate thing for teaching…like seriously, the passion thing.” I recently read an article in the Chronicle of Higher Education that claimed the four properties of powerful teachers were personality, presence, preparation, and passion. I like to think of passion as fangirling, which I do on a daily basis about books, student writing, authors, and all things bookish. I’m never sure how much of that passion reaches students, but since this one specifically noted the “mega good booktalks,” I think it gets through to at least some kids. This thank-you note really rejuvenated me, and now that I know my booktalks are working, I’ll keep at them with new gusto until June 12. Continuing to revise and change my curriculum doesn’t stop because the year is nearly over. I’m still wildly out of control on Amazon, buying titles as I get ideas for new units, themes, or genres (like the huge list of novels in verse I jotted down during our #poetrychat Monday night). A new focus on science fiction, poetry, and nonfiction has been what I’ve noticed in my cart of late. I am changing as a reader and a teacher, valuing those genres more than I once did, making a strong effort to transfer that new passion to my students. My teaching philosophy is constantly shifting, evolving, being reborn. Its biggest shift this year, I think, can be best summed up with a quote from another NWPer from my class last week. While talking about meeting and learning from great teachers at NCTE, he said he felt like they were “the Wizards of Oz, but they were inviting me to peek behind the curtain.” I love this analogy, because while great teaching may seem like unattainable magic, I now feel like I understand how to be effective. I’ve studied living, breathing mentor texts like Penny Kittle, Tom Romano, Amy Rasmussen, Jackie Catcher, and Erika Bogdany, and am looking forward to learning from Tom Newkirk at UNH this summer. In the past two years, I’ve been reborn as a teacher, whose confidence has grown as I’ve continued to strengthen my practice by dissecting and imitating the successes of others, just like my students do when we analyze mentor texts in class. Springtime is a time for reflection, rejuvenation, and rebirth. Nature is no different from my teaching as I think about this year and next, and about the beauty of its constant blossoming and change. I know our last six weeks will fly by, so I’ll enjoy every moment of them before the luxurious summer begins! What are you reflecting on this spring? What has rejuvenated you as the year comes to a close? What elements of your teaching will be reborn this year or next? Share in the comments! ____________ next year!” Good feeling, huh? Thanks, Jackie! 🙂 I want to buy those nifty notes too!